GAMA ProjEx has an increasing pipeline of opportunity and a growing workforce, but had outdated legacy systems that were hindering the ability of the company to meet the challenges for growth. But the remote location of Papua New Guinea, and lack of services to support IT frameworks, created a unique challenge. Eagle Technology, recognising the similarities to military situations in remote areas, adapted a Command and Control situational awareness tool, Systematic’s Sitaware, to provide operational support for GAMA ProjEx. Using satellite and a back office system hosted on Amazon Web Services (AWS) with supporting communications equipment and ArcGIS, Eagle created a virtual network without local infrastructure. GAMA ProjEx, specialist providers of project management and field support services in the oil and gas industry, needed to unify and modernise their processes to manage their projects more effectively. But operating in Papua New Guinea (PNG) in a low to no infrastructure environment required outside of the square thinking. 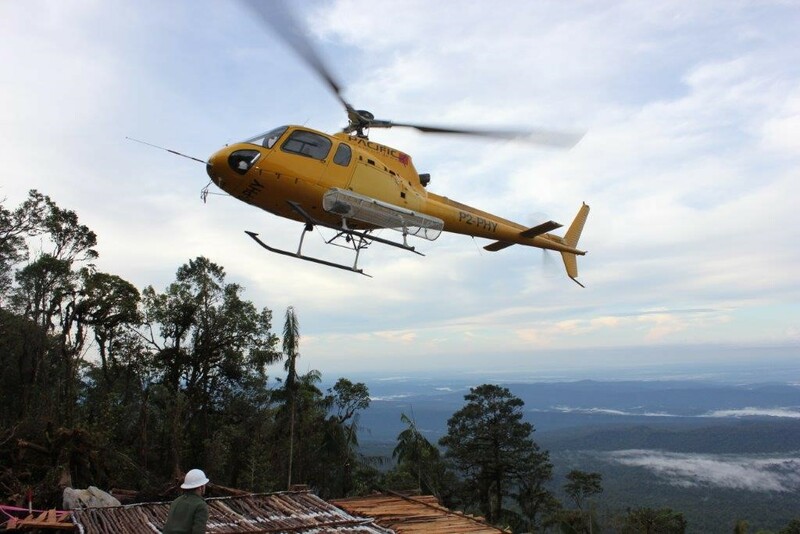 Eagle Technology provided a robust IT solution set using components of ArcGIS and Sitaware software, AWS cloud technology and modern communications devices to create a scalable operational management system that allows oversight and coordination of crew, camps, vehicles, aircraft and personnel in rugged and isolated terrain. Papua New Guinea (PNG) is rich in natural minerals, oil and gas resources locked beneath the substrate. Oil and gas extraction requires massive infrastructure, and the process begins with seismic geophysical surveying methods, providing acoustic imaging utilising drilling and explosives to gather data that pinpoints deposits buried within layers of rock. Surveying within large tracts of land (typically 10,000 square kilometres at a time), the data acquired is later processed through sophisticated computer systems and allows accurate placement of wells for the discovery and development of oil and gas reserves. This along with other geological, geophysical, topographic and satellite imaging is also used to assess environmental and economic effects, and ultimately, project costs to develop oil and gas resources. 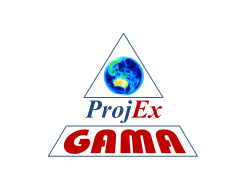 GAMA ProjEx is a company that has provided project management and operational support services for seismic surveying and other exploration activities for more than 20 years. Mark Askey, Director of GAMA ProjEx, says seismic surveying is a modern and effective technology that faces many unique challenges when transferred to the interior of Papua New Guinea. “PNG, although a democracy, and a member of the Commonwealth, has virtually no road infrastructure beyond its main cities, Port Moresby and Lae, which are themselves connected only by air. Just 18% of PNG’s seven million people live in the cities, with the balance clustered in subsistence communities little altered for hundreds of years. The terrain is a dense primary jungle with over one hundred foot high canopies, and the interior rises from vast water-ways to mountain ranges with heights over 4000 metres. Added to that, many areas experience over ten metres of rain a year”. GAMA ProjEx’s project management and field support services for any given seismic surveying in PNG typically involves coordinating 25 crews, 600 men, 6 helicopters on constant rotation, and moving them and their equipment to where it is needed next, setting up the camps and communications required to progress the work. The recent PNG LNG project, run primarily by Exxon Mobil, has installed 230,000 tonnes of a pipeline that runs from the wetlands to a height of 2800 metres. The project has a projected thirty year life, and new surveys continue to identify areas of drilling viability. GAMA ProjEx, has opportunity for growth, but its systems needed modernising, a challenge in an environment where the modern luxury of technology is ill-supported, without internet connections, and limited to a low speed digital data environment – VHF radios rather than cellular networks. Askey contacted Eagle Technology through its distributorship of Esri’s ArcGIS platform in New Zealand and the South Pacific, looking for a GIS mobile solution. Eagle’s Gerard Lelieveld, GIS Defence Specialist, recognised similarities in the operational requirements to those deployed by the military and explored the adaptation of a C4I (Command, Control, Communications, Computers, & Intelligence) system, a comprehensive toolset with extensive interoperability capabilities as a solution. Sitaware, by Danish company Systematic, has been trialled in New Zealand by the NZDF, the NZ Customs Service, and shortly by Search and Rescue organisations. Lelieveld had significant previous experience with its deployment. Amazon Web Services provide a robust hub securely accessible from the geographically dispersed workforce (PNG, Australia, NZ and Europe) which allows the centralised control of services such as domain security management, group policy, anti-virus protection, file sharing and private web based applications. The solution leverages AWS services Virtual Private Cloud (VPC), Elastic Compute Cloud (EC2), Elastic Block Storage (EBS), Simple Storage Service (S3), Identity and Access Management (IAM), Route 53 and many others to support a hybrid cloud model with core infrastructure in the cloud supporting loosely coupled, largely autonomous base camps on the ground as well as individuals who access the cloud directly. The result is a viable, commercial application that uses situational awareness to move assets (people, vehicles, camps, and air-craft) in a coordinated way using real time communications both up and down the chain of command. It is based on a robust infrastructure that is scalable, secure, and reliable. What the GAMA project has resulted in is a complete Situational Information Management System (SIMS). The goal now is to enable the workforce with rugged mobile equipment, to use RFID to track the movement of assets and develop functional business extensions to the framework to meet the requirements of logistics, personnel and journey management.